The discourse on sui generis religion, as outlined by Russell McCutcheon is one that deemphasizes difference, history, and sociopolitical context in favor of abstract essences and homogeneity, characterized by the supposed uniqueness and autonomy of religion. While on the surface it would seem that cognitive theories of religion steer away from this problematic discourse by adopting a naturalistic, interdisciplinary, and experimental approach, the curious definitional strategy concerning the supernatural and the jump from a historically self-reflective and heuristic definition to a neo-Tylorian substantive definition leaves their work vulnerable to critique. Cognitive theories usually define religion as having to do with thoughts and practices related to the supernatural. The supernatural is vaguely conceived but focuses on relations with supernatural agencies. 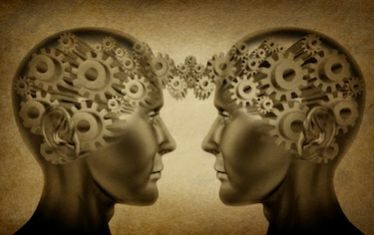 The acquisition and transmission of religion is seen as related to how the mind works: our understanding of other minds, bias to detect agency, gravitation toward purpose-based explanations of origins, dualistic notion of body and mind, acceptance of non-natural causality, and memorable attraction to counterintuitive representations. All of these components are thought not only to render the mind susceptible to religious ideas but also to spontaneously generate them. Furthering this view, scholars focusing on cognition in light of an orientation toward the supernatural often build into their theory of religion the notion that religion is an adaptation or byproduct of a process of natural selection. Since in each instance the mind is hardwired for creating, acquiring, and transmitting supernatural representations, religion is deemed as eminently natural (“strong naturalness thesis”). The naturalness of religion readily follows from the adoption of a substantive definition of religion. However, if we adopt a heuristic definition of religion, even when religion is defined in a similar manner, it does not follow nor could it follow that religion is natural. “Religious cognition” makes about as much sense as “49.8833° N, 97.1500° W cognition.” The difference between the two is startling, and cognitive theories of religion have yet to consistently clarify the ambiguity. The problem emerges most clearly when we look at how the strong naturalness thesis re-describes cognitive development in religious terms. For instance, the strong naturalness thesis posits that as theory of mind skills develop they develop in tandem with promiscuous agency detection. Out of this matrix of others in mind is born a special form of thinking, “religious cognition,” the positing of or willingness to accept representations concerning supernatural agencies. When this theoretical impulse to “religionize” cognition becomes systematic it becomes fairly easy to cherry pick contributing elements and identify the origin of religion in evolutionary history as well as in childhood. This clear identification of the origins of religion in natural history as well as developmental history threatens to become a sui generis discourse when it (unnecessarily and illicitly) replaces more compelling, systematic, and historically viable accounts of cognition. In other words, cognitive theories of religion, by relying on a troubling and contested definition of religion without reference to its historical continuities and political implications, create and foster an ideological posturing that, while appearing to be interdisciplinary and scientifically minded, is conceptually anti-historical and ahistoriographical. This point, I should add, has been noted more and less critically by numerous historians of religion who are unquestionably sympathetic to cognitive theories of religion (see the excellent anthology Past Minds: Studies in Cognitive Historiography edited by Luther H. Martin and Jesper Sørensen). Insofar as a cognitive theory of religion engages in a re-description of cognitive development in religious terms it is not really a cognitive theory of religion at all. It would be more accurate to say that the strong naturalist thesis is actually a religious theory of cognition, a sui generis conception of religion – a religious re-description of cognition. When natural history is re-described as religious history or cognitive development is re-described as religious development these descriptions threaten to supplant or replace other explanatory hypotheses or explanations in an ideological manner unless the re-description can be translated (or reduced) to a competing conceptual framework without loss of insight or explanatory power. For instance, when the history of representation is described as the emergence of myth through the manipulation of symbolic forms, and hence the origin of religion, this account obscures the more accurate and plausible account of development: that the history of representation allows us to chart the emergence of the imagination (not religion). Re-describing the emergence of the capacity to pretend, to act as though the world is as it is not, as religious is profoundly misleading. It lends itself, for instance, to a problematic account of ritual as distinct from pretense and agency detection as distinct from processes related to the development of communicative competence. It is no wonder, as outlined in the forthcoming essay by Josh Rottman and Deborah Kelemen, that very little (if any) evidence can be found for the existence of “religious beliefs” in early childhood. As shown, the vast majority of evidence for the acquisition of religious thoughts and practices emerges only after individuals are socialized into such practices. There is scant support for spontaneous religiosity, a point that would not surprise an historian of religion but seems to threaten an overthrow of several of the primary tenets of popular cognitive theories of religion. I understand the motive to define religion in this way to be the rather embarrassingly fuzzy idea that supernatural agents are postulated all around the world. Supernatural agency, when globalized in this way, is a bit of a will-o’-the-wisp. It is very beguiling but it can mean almost anything. Guided by Carol Nemeroff and Paul Rozin (2000) I have found it helpful to interpret “the supernatural” as that which “generally does not make sense in terms of the contemporary understanding of science.” Of course what makes sense in terms of contemporary science is itself a moving target, often contested, and inordinately fallible. Given the transitory and culturally contoured nature of “what makes sense” it is even more urgent to be cautioned by historiographical reflection. As an imaginative challenge to cognitive theories of religion, perhaps we could try to think about what such theories would have to offer if a temporary moratorium on terms including religion, supernatural, magic, ritual, myth, theism, and atheism were to be voluntarily undertaken. How might human behaviour be accounted for differently if ritual was re-viewed as a subcategory of fantasy play, if belief in God was one treated as one of many everyday imaginary relationships, if theologies were taken as paracosms, and if supernatural representations were viewed as analogous to concepts of nation, gender, and class [I’m hoping that some cognitive theorist will get back to me and say, “Yes, that’s it exactly!”]. This kind of back and forth translation is underway. Ann Taves’s book (2009) on religious experience focuses on anomaly and specialness as an analogue of religion and Tanya Luhrmann (1989) examines English witchcraft as an extension of fantasy play. My own modest effort equates imaginal religious dialogue with fantasy play under institutional sanction (2012). While not all cognitive theories of religion are susceptible to this critique, unless there is a mindfulness of the ambiguity and ideological history of the term religion, the proliferation of its supposed naturalness will ultimately foreclose upon its richness and explanatory potential. Barrett, Justin. 2004. Why Would Anyone Believe in God? Lanham: AltaMira Press. Bering, Jesse M. 2011. The Belief Instinct: The Psychology of Souls, Destiny, and the Meaning of Life. New York: W. W. Norton and Company. Caughey, John L. 1984. Imaginary Social Worlds: A Cultural Approach. Lincoln: University of Nebraska Press. Hood, Bruce. 2009. SuperSense: Why We Believe in the Unbelievable. New York: HarperCollins. Lewis-Williams, David. 2002. The Mind in the Cave: Consciousness and the Origins of Art. New York: Thames and Hudson. Luhrmann, Tanya M. 1989. Persuasions of the Witch’s Craft: Ritual Magic in Contemporary England. Cambridge, MA: Harvard University Press. MacKendrick, Kenneth G. 2012. “We Have an Imaginary Friend in Jesus: What Can Imaginary Companions Teach Us About Religion?” Implicit Religion 15, no. 1: 61-79. Martin, Luther H. and Jesper Sørensen, eds. 2011. Past Minds: Studies in Cognitive Historiography. London: Equinox. McCutcheon, Russell T. 1997. Manufacturing Religion: The Discourse on Sui Generis Religion and the Politics of Nostalgia. Oxford: Oxford University Press. Nemeroff, Carol and Paul Rozin. “The Makings of the Magical Mind: The Nature and Function of Sympathetic Magical Thinking.” In Imagining the Impossible: Magical, Scientific, and Religious Thinking in Children. Edited by Karl S. Rosengren, Carl N. Johnson, and Paul L. Harris, 1-34. Cambridge: Cambridge University Press. Rottman, Josh and Deborah Kelemen (forthcoming 2012). “Is There Such Thing as a Christian Child? Evidence of Religious Beliefs in Early Childhood.” In Science and the World’s Religions: Origins and Destinies. Edited by P. McNamara and W. Wildman. Santa Barbara: Praeger Press. Taves, Ann. 2009. Religious Experience Reconsidered. A Building-Block Approach to the Study of Religion and Other Special Things. Princeton: Princeton University Press. This entry was posted in Kenneth G. MacKendrick, Religion and Theory, Theory and Method, Theory in the Real World and tagged cognition, Religion, Russell McCutcheon. Bookmark the permalink. Nice work Kenny. You hit several nails right on the head. As you probably know, I am quite sympathetic to cognitive approaches as a sort of evolutionary starting point to what is today called “religion,” but once the strong cultural gate drops (which occurred perhaps 60,000 years ago with the appearance of humans who could symbol and speak), all bets are off. Sorry about that bad pun but I’m still smarting from I’ll Have Another’s scratch from the Belmont. I’ve spent the last few years immersed in the cognitive religion literature and it always leaves me feeling cold. There’s not much humanity in it and lots of “scientific” storytelling that is far less imaginative than most humans at play or fantasy. The biggest problem with this approach, which you aptly call a sui generis discourse, is that it is never tested against (or is ignorant of) history. As an anthropologist, history for me encompasses archaeology, and this larger form of history is best explained not by neuro-cognition or biological evolution, but by more standard (and compelling) interdisciplinary methods. Historians don’t write history from a cognitive or evolutionary theoretical perspective, and this is for good reason. But whenever I make such statements to neuro/evolutionary types, they insist to me that everything can be explained within their models. Why? Because the math works. Go figure. I’ll state this from the first point, I’m a large supporter of CSR. Now that is out of the way: I think you’re missing a number of crucial pieces of literature. While you don’t misrepresent the general standard model of CSR, in all its quirks and flaws you conflate “theory” with “general trends”, many in the CSR literature do this as well. The list of reading you compile is a great example of the applications of cognitive science to understanding observed “religiosity” but none of them actually present a “theory” of religion. They utilize other findings of cognitive science and apply those conclusions to the phenomena that they specialize in. The trends and mechanisms that you mentioned are well established both cross culturally and using historical evidence (see Past Minds as well as Theorizing Religion’s Past, ed. by Whitehouse and Martin). The theories that do exist in CSR don’t hit every nail on the head perfectly throughout the historical record. This is largely due to presentist assumptions of what “religion” is. However, these theories (more below) do account for most observed religious behaviour throughout the historical record as well as the wide variety of religious behaviours that currently exist today. My only real critique of a generally great post is this: don’t conflate evolutinoary psychology with cognitive science, they are close in many ways but they are not the same. Evolutionary psychology has relied on creating “just-so” stories of our evolutionary past, coupled with modern experimental data, to attempt to explain a wide range of phenomena-I’ll add the phrase “with varying degrees of success” at the end here. Cognitive science is interested in the way that information (extremely broadly defined) is processed–in the case of cognitive psychology–by the human mind. This is why, as the respondent above notes, CSR leaves one feeling cold. It isn’t about trying to create the same sort of understanding of religion that anthropologists or historians are looking to do. Its trying to distil the wondrous wide range of beliefs and behaviours down to their cognitive mechanisms, which are largely rich in explanatory reach but not so much in descriptive depth. You overview is missing two and a half real theories of religion; not just clusters of hypotheses without any theoretical foundation besides “evolutionary psychology”… whatever that is! First, the Lawson & McCauley Ritual Competence Theory (first published in 1990: “Rethinking Religion”). This is the best described “theory” of religion out there by far. No other cognitive theory of religion really comes close in its adherence to precise hypotheses as well as holding true to cognitive science as an information processing paradigm. The second is Whitehouse’s Divergent Modes of Religiosity (Best overview is in 2004, “Mode’s of Religiosity”). This has been widely applied to historical work and has also been heavily tested through empirical and ethnographic studies. The half theory is Stark & Bainbridge’s “Theory of Religion” (published in 1987 as “A Theory of Religion”). This is presented as a rational choice theory, which while cognitive isn’t really up to date as it is rather incompatible with the more recent findings of the heuristics and biases research program within cognitive science/behavioural economics. In the end, I really liked this post, however I caution those who want to combine the “evolutionary psychology” literature pertaining to religion with a “cognitive science” of religion; nor would I encourage one to limit themselves to the information that tends to be cited in the religious studies literature because the number of studies that are relevant and never make it into a bibliography in a paper in the AAR/MTSR/SSSR/JCSR/JOCC (and any other journal in the Cog. Sci. Religion field) is quite vast and growing quickly! Again, awesome post, I can’t wait to see more!